Finding a place to rest your head on Koh Chang can be daunting. Thailand’s third largest island offers an expansive range of accommodation – whether you want to spoil yourself in a luxurious pool villa with dramatic ocean views or need nothing more than a small hut in the wilderness, Koh Chang has it all. Most of the hotels and resorts are scattered around the west coast, the island’s main tourist hub which is famous for its long and wide beaches. In contrast, the east coast is home to just a handful of places that offer undisturbed privacy, crisp fresh air and a lush palm-fringed coast. Here’s our tips for places to stay in various prices from budget to splurge, situated along Koh Chang’s most popular areas. Lying right beside Koh Chang’s most popular stretch of beach, the KC Grande Resort & Spa blends the spirit of Koh Chang with all amenities of a modern four-star hotel. Though being relatively low with only three stories, this deluxe hotel boasts a fine mix of 140 rooms, villas and suites. The spacious rooms combine lots of wooden elements with white walls and ceilings that, along with superb views over the ocean and gardens, create a warm and tranquil atmosphere.Standard room amenities include balconies/terraces safes, coffee and tea maker, minibar, bathtub and shower, work desk and DVD-Player. When it comes to dining, the KC Grande offers not less than five different outlets, including a coffee shop (KC Coffee Corner) an all-day dining restaurant (The Beach) and a bar with live music (KC Pub). Oh, and the resort features four stunning pools that include a long kids’ pool as well a rooftop pool attached to a bar. Set in the midst of White Sand Beach, Kacha Resort is a modern resort with the ocean right in front of you and the amazing backdrop of the island’s hilly inland. While its surrounding can be explored during the day, you can laze around the beach in the afternoon or take a refreshing dip at the pool. Choose from 44 elegant Thai-style rooms that come along with minibar, safety box, coffee and tea making facilities, TV and shower. Accommodation includes also the stunning two-storey ‘Beachfront Villas’ with private veranda and ‘Seaview Villas’ with private pool. Be pampered at their Royal Spa where skilled spa therapists offer a good range of treatments from the famous Thai massage to body scrubs. Comprehensive amenities include a seaside swimming pool, children’s pool, a travel desk and an entertainment room. Several restaurants including a vegetarian restaurant and a pool bar can also be enjoyed. The Bamboo @ Koh Chang is an affordable beachfront resort in central location. With the beach just a few steps away and access to the main street on the other side, this small mid-range resort is a great choice for budget conscious travelers. All rooms face either the beach or pool and come along with a balcony or terrace, fridge, TV and AC. While the rooms are simple designed and not the biggest in size, they’re good enough for those spending the majority of their time outside but looking for a comfy place to stay. Further amenities and services include a pool with adjacent kids’ pool, massage, an onsite restaurant, sunbeds and laundry. With its main strip just at the doorstep, you have immediate access to all restaurants, bars and shops at White Sand Beach. In all, the Bamboo @ Koh Chang is the perfect place for young people, small families and couples who are looking for a hotel at good rates in the middle of Koh Chang’s main tourist area. A small resort with a series of wooden-style bungalows in different sizes. 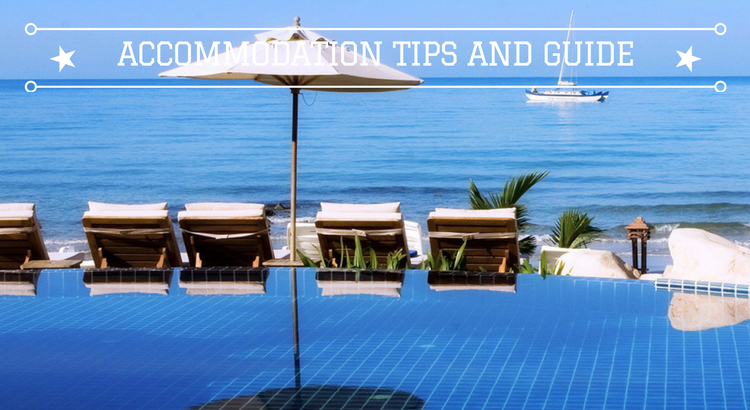 It’s located right at the beach and suitable for those on a budget. Although relatively simple designed, all rooms at Apple Resort come along with AC and bathrooms while some even have little terraces. An open-air restaurant offers a mix of typical Thai and western dishes throughout the day. The tables and chairs are set up on the beach, perfect to sink your toes in the sand and enjoy the soothing sounds of crashing waves. Next to the restaurant is a massage area if you feel tensed up and need a break from shopping and swimming. A pool in the centre of the resort is shaded the entire day and offers relaxation without worrying about sunburns. Overall, the resort is the ideal option if you plan to stay for just a few days and need nothing more than a place to sleep. While the rooms are basic, its rustic charm attracts many solo-travelers, backpackers and beach-fanatics. Founded by a British expat and his Thai wife in 1998, Island Lodge is among the longest running accommodation on Koh Chang. It’s about 300m away from the beach but their rooms offer stunning views over the jungle-clad hills. Room types vary from ‘standard’ over ‘family rooms’ to so-called ‘cabins’. The standard type is available with fan or AC while family rooms are all equipped with ACs. Their ‘cabins’ are tiny 12m² rooms with fan only and recommended for those staying just a couple of nights. Free Wi-Fi is available throughout the hotel. A restaurant called ‘Island Filling Station’ opens from morning until late and offers various Thai and western dishes. 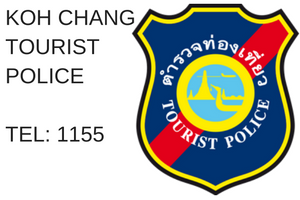 Further services include motorbike rental as well private transfer to/from Bangkok and Pattaya. If you plan to keep your travel expenses at a minimum, Island LodgeKoh Chang is the right place to stay. Though not located on the beach, its surrounding invites for leisure strolls and the beach can be reached within five minutes. A four-star deluxe resort, The Dewa is a fantastic beach resort that leaves nothing to be desired for its guests. Its modern Thai design perfectly harmonizes with the natural environment. 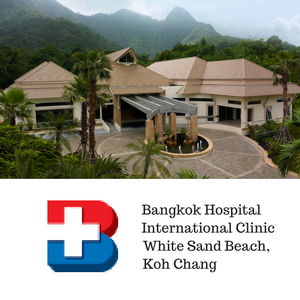 The hotel has 40 spacious Deluxe rooms (48m²) as well two types of villas, each with a different scenery and unit size: their ‘Villas’ (60m²) are only steps away from the beach while their 120m² ‘Grand Villas’ overlooking the Gulf of Thailand. Among the numerous dining amenities are two restaurants (all-day dining and seafood), a café and a pool bar. The Dewa Koh Chang offers also marvelous recreational and leisure possibilities. For a relaxing afternoon, an extensive menu of treatments, healing procedures as well a sauna and a whirlpool are awaiting you at The Spa. Swim and relax at the hotel’s epicentre, a gorgeous 700m² pool . Situated right by the beach and just a stone’s throw away from Klong Prao’s famous river estuary, the Santhiya Tree is a first-class resort that provides an exceptional hideaway experience. The resort offers only 50 deluxe rooms in traditional Thai-style that seemingly blend into the surrounding. Rooms feature private balconies, large bathtubs with separate shower, coffee and tea maker, safe, minibar among other things. Several rooms have even direct pool access. Its quiet atmosphere extends to its recreational facilities, including the Panviman Spa, a swimming pool with Jacuzzi and a Thai massage corner. Further services include speed boat service and island hopping, laundry as well a tour desk. The romantic seaside restaurant Four Angels offers terrific vista over the ocean, especially during sunset. After a relaxing day, visit The Rocky Bar to replenish your energy with a selection of light meals, cocktails and live entertainment. This small Dutch-run guesthouse consists of only five rooms and sits next to a river, within a pristine lagoon. It’s a bit off the main road but not difficult to get to. Its façade resembles a mix of European/Middle Eastern architecture while the interior is bright and modernly designed. All rooms have a small veranda faced towards the canal from where you can watch amazing sunsets. To get to the beach one has to jump into a kayak (you can start right from your room) and paddle for a few minutes along the water passage (about 200m away). In order to get to the next restaurants or bars, you have to rent a motorbike or car or walk/kayak to the beach. The Watercolours is a unique place to stay, located in the midst of Koh Chang’s untouched nature and the sweet family that runs the hotel is known for their attentiveness and incredible hospitality. The V.J. Searenity is a great mid-range hotel on Klong Prao Beach. With only 50 rooms, the hotel is perfect for a relaxing stay on Koh Chang. Set in a traditional Thai-style building, all rooms feature AC, minibar, safety box and cable TV. To get the best out of your stay, we suggest you book one of their sea view rooms. What can be better than waking up in the morning and watching the shimmering ocean? Apart from swimming sunbathing, Klong Prao is a great playground for some more action-filled activities like kayaking and hiking through the jungle; just approach the friendly staff here to help you further with your requests. And after a long day out in the wilderness, you can de-stress and relax at the spa or by the pool followed by a snack in their open-air restaurant. Located on secluded Chai Chet at the northern tip of Klong Prao beach, Chai Chet Resort offers 40 bungalows and rooms that are facing towards the beach or the hillside. One benefit of staying around Chai Chet is the tranquil atmosphere here. You’ll notice quickly that many travellers spend their days in the hotel or at the pool apart from a few souls on the beach. The resort itself is surrounded by lush palms that are definitely adding a sense of peace here. Among the room’s amenities are AC, TV fridge and a safety box. A restaurant,specialized in seafood, opens from 07:00 until 21:00 and offers gorgeous views of the bay of Chai Chet. The range of activities includes trips to waterfalls, kayaking, fishing and trekking. In a nutshell, the Chai Chet Resort is recommended for those seeking an undisturbed place to spend their holiday yet not too far away from more action. The Chill Resort is a chic boutique-style resort that makes you feel at home right from the moment you arrive. Located at Kai Bae Beach, it features beautifully appointed rooms and villas with wonderful views over the garden and beach. Standard room amenities include minibar, DVD-Player,Nespresso machine, electronic safe, large 40” TVs and Wi-Fi. Chill Out Café is the hotel’s Thai-fusion seafood restaurant serving mouthwatering dishes ranging southern Thailand’s favourites with a local twist, all created with the finest and freshest ingredients. Re-energize your mind and soul at the Chill Spa and choose between an array of blissful spa treatments including traditional Thai massage, aromatherapy, rejuvenating facials or classic reflexology. Yoga lessons are also available. With its luxurious ambiance, spectacular views and superb service, the Chill Resort & Spa embodies the perfect getaway for sophistic travellers. The Awa is yet another resort that differs itself with its unique and distinctive architecture from other resorts. Picture large white oriental facades, minimalistic deigned rooms and views to die for, paired with exceptional service. Each of the 74 rooms offers stylish bathrooms with rainshower, coffee and tea making facilities, minibar, bathrobe and slippers while Deluxe rooms and higher even have private balconies. Of course, a property of this caliber can’t be missing on a spa and that’s why The Spa not only offers some of the finest treatments on the island, but on top, uses even its own developed line of natural products. How about the generously sized 1200m² pool? 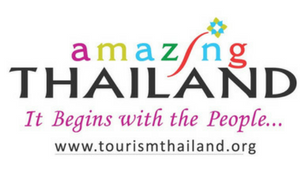 Scheduled trips to KlongPu Waterfall and White Sand Beach? A fully equipped kids’ club? Kayaking and trekking? The list could get on and on but rest assured you’re in good hands at the Awa Resort Koh Chang. Being one of Koh Chang’s first resorts, Siam Bay is as much known for their service and facilities as for its peaceful sea views and is one of the most popular mid-range hotels on the island. Located on a small slope right by the beach, the resort is bedded within an oasis of swaying coconut trees. The main pool on a separate sun deck is overlooking the picturesque bay of Kai Bae while further pools awaiting you around the rest of the resort. Siam Bay offers six different bungalow categories with imposing views over the ocean and hillside. All of these bungalows have an immense space and their own terraces / balconies while some even have private pools attached, perfect to accommodate families of 4-6 people. Further room amenities include minibar AC, fan, coffee/tea making facilities and a sunbed. The resort is slightly off the track and recommended if you’re just looking for a few undisturbed days. Other restaurants and shops can be reached via own transport or via transfer provided by the hotel. Coral Resort is a 3-star resort that comprises of 40 air-conditioned bungalows that are just steps away from the beach. In spite of being minimalistic designed, all bungalows spread a unique sense of comfort to ensure your stay will be as pleasant as possible. The rooms are even big enough to accommodate extra beds. Among its amenities are AC, minibar, safety box, bottled water as well private balconies. A large pool with adjacent children’s pool is located in the centre of the hotel while the trendy, SALT restaurant offers various Thai and western dishes. Services offered by the resort include a tour desk, car/motorbike rental, free Wi-Fi and a souvenir shop. Upon request, the friendly hotel staff helps you to arrange trips to waterfalls, water sports activities, hiking tours, etc. Being just minutes away from the lush rainforest, Coral Resort is the ideal base for those wanting to immerse themselves in the beautiful nature of the island. Looking for a great hotel but for a small price? Look no further! Though being a rated as 2-star hotel, The Stage Koh Chang is anything but a run-down island hotel. Still relatively new, this small hotel offers bright loft-style rooms with indirect lightening and soft wooden accents throughout. Every corner of the hotel is spotlessly clean while the great service guarantees a perfect stay. All rooms have mountain-views and direct access to the hotel’s pool. Minibar, desk, safe, flatscreen TV with cable channels and a patio are only some of the many amenities the rooms offer. Free Wi-Fi is available throughout the hotel while the onsite spa ensures to relieve any tensions. Even when it comes to dining The Stage surprises: aside their main bistro that offers many tasty snacks the hotel even has a coffee –and ice cream shop! All in all, the hotel offers way more than you can expect from hotels in the same category. One of Koh Chang’s most popular hotels, the Mercure Hideaway, is a contemporary Thai-style, 141 room beachfront resort with a pleasant atmosphere and attentive service. Its modern rooms offer all necessary amenities you can expect from an international 4-star resort including private balconies with breathtaking ocean views. The well-trained staff speaks exceptional English and seems to know the island inside-out, don’t hesitate to ask for recommendations on dining or activities. All rooms come along with safety deposit box, AC, desk, minibar, coffee/tea making facilities and telephone. Among its dining outlets is The Bay Restaurant that offers all-day dining from 06:00-23:00 as well three different bars, including one Moroccan-themed bar with live music. The fitness centre and pool ensure that you stay fit during your stay while the private beach invites for relaxation. Whether your plan to stay alone, as couple or with your family, the Mercure Koh Chang Hideaway offers something for everyone. With its premier location at Lonely Beach, the Siam Beach Resort offers all you need for a good night’s sleep with incredible vistas over the turquoise lagoon. Wake up in the morning and take a refreshing dip before you head for breakfast and spend the rest of the day swimming and snorkelling. All rooms are furnished with a spacious closet, safe, phone, AC, kettle, flatscreenTV and free Wi-Fi. While most of the bungalows are situated right on the beach and are ideal for sunseekers and beach lovers, the hillside bungalows are favoured among couple seeking utmost privacy. A spa offers classic Thai massage treatments to ensure that you unwind from any stress on your holiday. Guests with kids will love the pool with attached kids’ pool. Activities include also a variety of motorized and non-motorized water sports as well the possibility to arrange trips further inland to waterfalls and hiking trails. The Siam Beach Resort is a great mid-class resort that caters to couples and individuals as it does to families. Paradise Cottage offers affordable accommodation that include 26 bungalows that are either sea-facing or towards the garden, a cocktail bar and fantastic ocean views. Unlike many cottages and resorts that use primarily a lot of wooden, the bungalows here consist of soothing industrial concrete walls and thatched roofs that give the whole resort a modern and somewhat stylish look. All rooms come along with shower and free Wi-Fi. With its many cabanas and hammocks the beachfront restaurant offers the ultimate tropical resort atmosphere. Open from morning until night, guests can indulge in Thai cuisine and international dishes while listening to relaxing music. The attached cocktail bar offers a good selection of longdrinks and wines and gets quickly busy during sunset. Additional services include various tour programs, laundry service and motorbike hire. Being located at the end of Lonely Beach the resort’s surrounding is by far not as busy as some other places in the area. One of the longer serving resorts on Lonely Beach, the established Nature Beach Resort is a popular spot for young travellers, couples and backpackers. It comprises of almost 50 thatched-roof bungalows that come with large sliding doors and lots of windows providing an abundance of natural lighting. Each of these bungalows is minimalistic designed and outfitted with simple furniture, a super comfy queen-size bed, TV, AC or fan, minibar and a small balcony or terrace. Its restaurant ‘Nature Rocks’ opens all day and serves a mix of western and Thai dishes for breakfast, lunch and dinner. The wide space offers enough sitting for everyone in addition to a number of decks right at the beach with small tables and floor pillows where you can sit on. Evenings here are filled with live music and entertainment on the beach. Further facilities include a pool, a tour desk near the reception and a simple massage hut overlooking the beach. Not too far from the resort are several small shops and restaurants. Geared towards backpackers and surfers the quirky KLKL Hostel offers two-storey bungalow towers painted in bright colours surrounded by coconut palms.Well located, KLKL Hostel is just a few minutes away from the centre of Lonely Beach and is the perfect starting point to explore the rest of Koh Chang. The rooms have a decent size for a hostel and are simply equipped with a desk, mosquito net, balcony and AC or fan. A lounge style community area serves as restaurant, bar and meeting point while the pool invites for leisure afternoons. Through its convenient location, many sights and places like the Tree Top Adventure Park can be reached in little to no time. The welcoming staff can help you further with renting a motorbike or booking excursions. Amber Sands is a serene resort just a few metres away from an almost deserted beach on Koh Chang’s tranquil east coast. Home to only eight bungalows, the resort is owned and managed by an English/Thai couple. It is famous for their attention to detail and outstanding hospitality which resulted in several awards such as Trip Advisor’s Travellers’ Choice Award for five consecutive years and the 5th place of Thailand’s Top 25 Small Inns. All bungalows feature king-size beds, a kettle, AC and ceiling fan over the bed, safe, dressing table, minibar, Wi-Fi and lots of other amenities. The on-site restaurant welcomes residents and outside guests and offers a myriad of fresh dishes, especially seafood. Amber Sands is the perfect place to escape parties, clubs and loud folks. Soak in the peaceful atmosphere, drive with a bicycle on empty roads or take a kayak along the shores. If you’re still up for more action, White Sands Beach is just a mere 20-minute drive away. Formerly known as Na Koh Chang Tara Resort, the stunning beachfront resort is yet another great property on Koh Chang’s eastside. When the dark curtains are open, ceiling-to-floor windows provide natural light streams and reveal awe-inspiring sights over the Gulf of Thailand. Choose between four comfortable apartments that are equipped with LCD TV, minibar, hairdryer, balcony/terrace, desk, free Wi-Fi and AC. Activities here revolve solely around the stunning nature and range from canoeing over diving to hiking scenic routes. Chang Tara, the resort’s semi-open restaurant, offers an interesting mix of Thai, European, Japanese and Chinese cuisines with splendid views over the beach. Up for a coffee? Next to the main complex is ‘Coffee Home by Tara’, the hotel’s very own coffee shop that serves classics like mocha, cappuccino or espresso but also a selection of fresh smoothies. Koh Chang offer’s something for everyone. Most visitors stay in family or mid-range accommodation. But there are a growing number of more upmarket 5 star and boutique properties. Travellers on a tight budget may find choices limited during High Season.